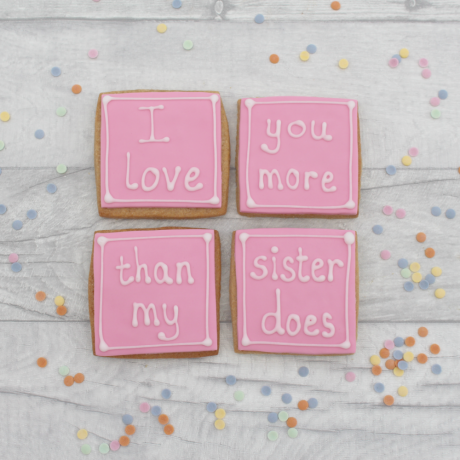 A lovely hand decorated cookie gift to tell your mum how much you think of her. 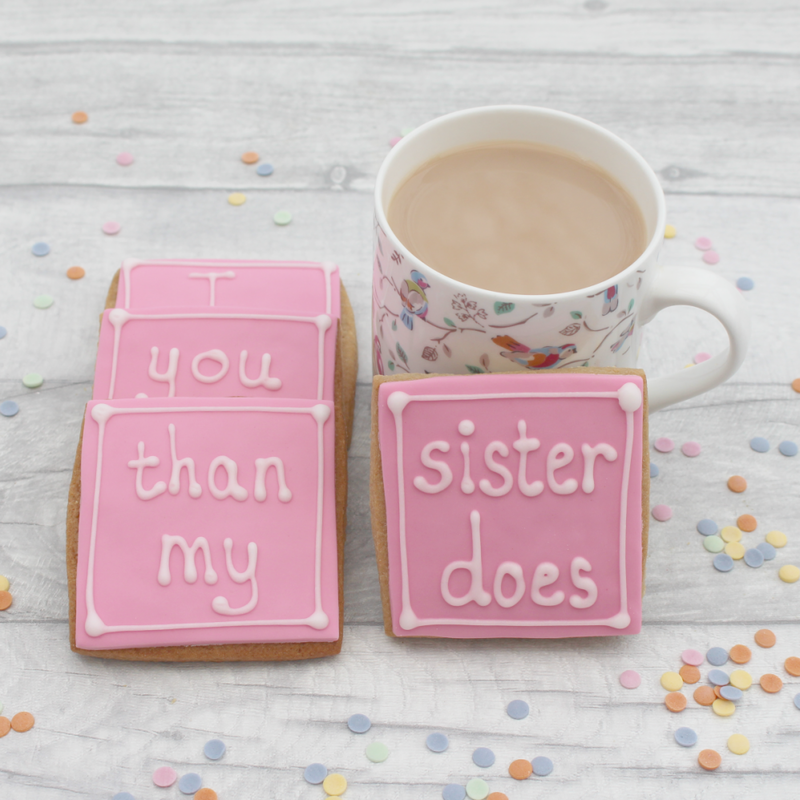 The flavour and colour of the cookies can be chosen by you. Made with sugarpaste and piped royal icing. The coloured paste they are made from is handmade, so colours may vary slightly, and screen colours may also change the colour of the original product. Recommended to eat within 3 weeks of dispatch. Carefully made to order just for you, so please note it may take up to 5 days to dispatch, and then there's the additional time to be shipped to you, so please plan in advance to make sure you get it in time. 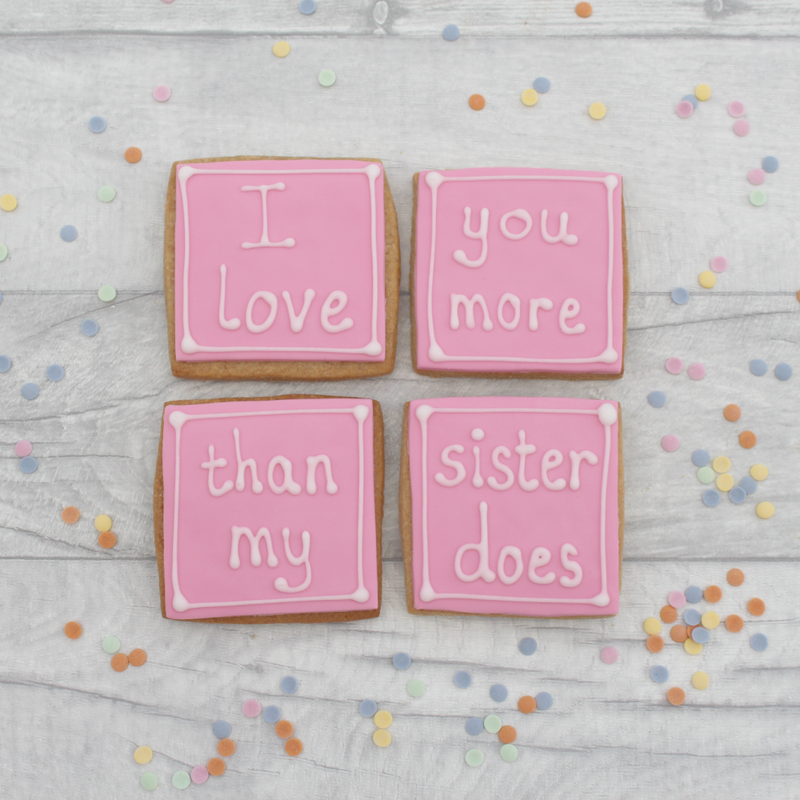 Each cookie is individually wrapped and posted in protective wrapping and a box to reach you in perfect condition.